Prospect Researcher is a mobile application to help GE Capital customers conduct company research on their iPad. By simply inputting a company name, the application will return company descriptions, competitors, executives, financials, industry profiles and a SWOT analysis for over 20 million companies. The application adopts an easy to use interface and holistic approach to researching companies. 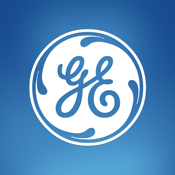 The application is complimentary exclusively for strategic accounts of GE Capital.